Welcome to Photography by Jane! I'm Jane... I know, that may have been obvious! I work from my home here in Lower Hutt, where we have recently added a beautiful, brand new, natural light studio - perfect for newborn, baby, family & pregnancy photos! My studio is right beside the gorgeous Hutt river - perfect for soft and dreamy maternity photos, outdoor baby photos (weather permitting! ), and the ideal spot to let the kids loose for fun, natural photos! My photos are REAL - they're personal to YOU. They're what you and your family are all about. In years to come I want you to look back at photos you can FEEL - not just a pretty picture. I do my best to avoid cookie-cutter shots so that your photos are completely unique to you. This means capturing your family dynamic - how you interact - what your kids are into - all of you together - HAVING FUN!! And everything inbetwen. Thats what my sessions are all about. If I'm honest, I'm down to earth and a bit dorky, but I love having fun and playing with kids (and adults!) to get the most natural, genuine expressions. As parents you'll spend most of the time smiling too! * I LOVE babies and children and I know plenty of tricks to get great photos of them! * I was named a finalist in the classic portrait category at the 2015 NZIPP Iris Awards and gained my masters distinction. I also gained my fellowship of the NZIPP in 2016 along with my first GOLD award - one of my big goals ticked off! * I strive to create photos that show your childrens true personalities and your family relationships, whatever that may be... truly YOU. My home studio is new, bright and fresh, yet warm and cosy. It lends itself to lots of different types of photography - newborns, babies, maternity & pregnancy, families and couples. The outdoor area I shoot in is literally at my back door and runs right down to the river so we can do lots of different looks! I'm very spoiled to live in such an amazing spot! Don't be fooled by cheap, inexperienced photographers!! You don't get the option to redo your precious newborn photos, and you have YEARS to look back on the photos of your children and family. MAKE IT COUNT. I am also an active volunteer photographer for Heartfelt - www.heartfelt.org.au - An amazing Australian & NZ charity who photograph Angel Babies & terminally ill children. I strongly believe in using my skills to give back to the community. I also love to donate goats(!) to WorldVision and commit random acts of kindness! You should try it some time - it's a wonderful thing to do. Basically, I try to be a good human. 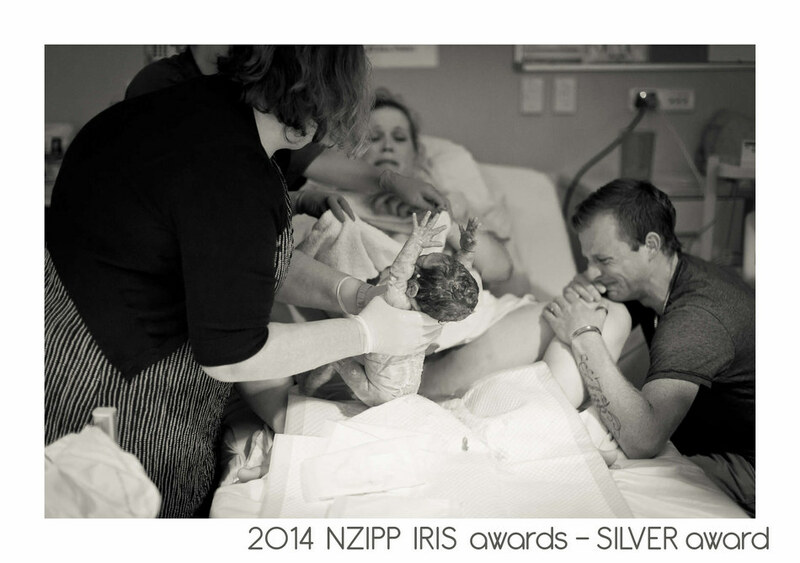 2015 NZIPP Iris Awards - 5 Silvers, 3 Bronzes. Received my "Master" (MNZIPP) distinction. Also named as a FINALIST in the Classic Portrait Category! 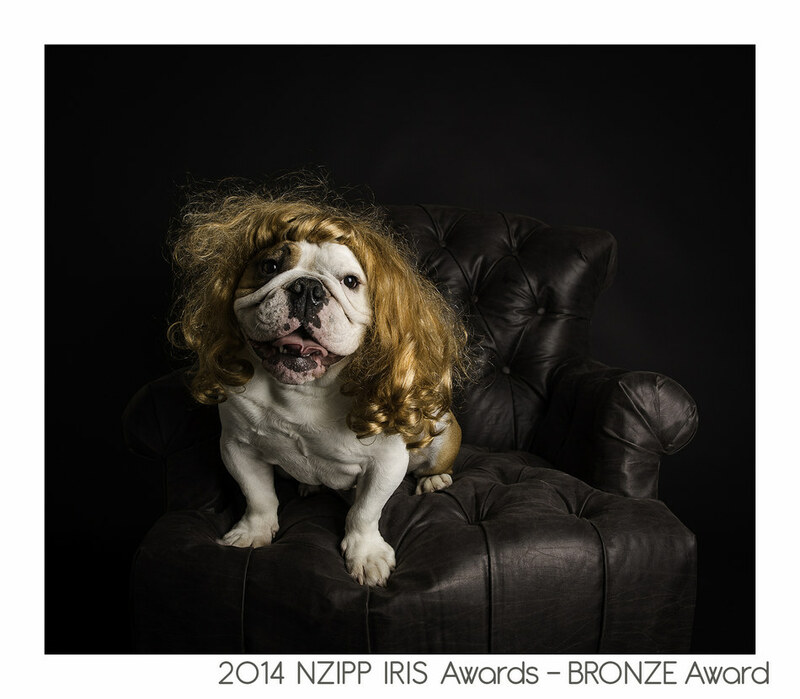 At the 2015 NZIPP Iris Print Awards I was named a finalist in the "Classic Portrait" category. Ok, so I didn't win but getting that far is a pretty big deal!! I also came away with 5 silvers and 3 bronzes, as well as a shiny red medal for now receiving my"Master of Photography" distinction. I really hate blowing my own trumpet, but I'm pretty proud of all the hard work I have put in!! Why NZIPP? The NZ Institute of Professional Photography provides a tough review and qualification process that only a tiny number of Wellington photographers have passed. I am one of those. In a time where anyone with a camera can claim to be a professional photographer, it is EXTRA important to choose one who not only commits to delivering consistent technical competence, but also adheres to a strict code of ethics and and professional conduct. I urge you to consider these points when making the important decision to choose a professional photographer. Wellington baby photographer covering Lower Hutt, Upper Hutt, Porirua and Kapiti as well as Wellington City. Travel by arrangement.